In the first round of the Men’s Champions League the biggest surprise was the result Vardar Skopje managed to obtain against a more quoted Barcellona side. 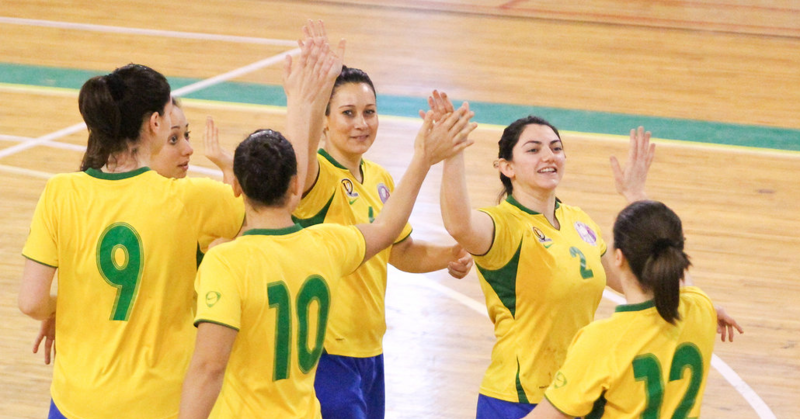 Skopje managed a 29-29 result against those who are the clear favourites to lift the trophy. This result should not obstruct the path of Barcellona but will definitely help them focus no opponent will let them have an unchallenged game. The result of the Barcellona game is not the only surprising result there was. PSG also had a tough game against Dinamo Minsk on French soil. The 34-31 result did not game after a plain sailing game but the French team had to sweat hard for it. All the results but one from this first outing was more than five goals. Last year’s winners HSV Hamburg, brushed aside Spanish side Naturhouse La Rioja with a nine goal margin. The German side was in control all the time and although it will be hard to maintain the trophy at the club, the start was an indication they will surely give it their best shot to lift the trophy for the second year running. 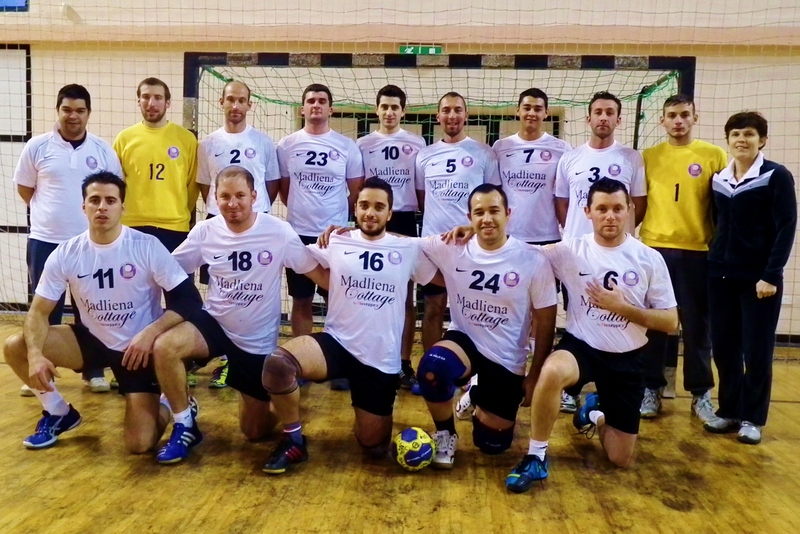 On another note, last Saturday saw the start of the Malta Handball Association season. If the day shows you how it will be from the morning, then we will surely have a great handball season. La Salle won both games. In the ladies’ game there was a strong start from La Salle but Aloysians managed to catch up after a shaky start. By the end of the first half La Salle were leading by two goals. Although Aloysians worked hard to go in front, La Salle were good to keep them at bay and finished the game with a 20-16 score. In the men game, our boys offered a great opposition to a La Salle side which was more quoted for the win. No one believed Luxol could offer such an opposition with Spanish player Carlos missing but after leading for most of the game, Luxol’s 3 goal margin loss seems a bit harsh. Luxol put a great show but some technical faults and tactical inexperience proved too much a price to pay. Well done goes to La Salle who were good through the game and took the opportunity when it came to take control of the game. Well done also go to both sets of supporters, especially to the Luxol supporters who were an inspiration to our men to put on a good show. It was also a deserved farewell to Daniel Tanti who will continue to play the game in Denmark where he will continue to further his talents. Luxol HC wishes Daniel all the best. Next Saturday at 16:00 at the University Sports Hall our men’s team will be challenging their counterparts from La Salle for the Super Cup. The game will be a remake of last season’s K.O final. La Salle booked a place in the final after having won the league while Luxol will have a chance to lift the trophy after ending as runners up in last season’s K.O. The Luxol family is invited to come and support the team and give a big farewell to Daniel Tanti who will be having his last game with the club for now to pursue new challenges in Denmark. The support showed last year by our supporters made sure the team could challenge for the runner up place for both the league and the K.O and it is a great push for the team. From these pages we also want to urge both sets of supporters and teams to create the great atmosphere seen in last season’s K.O as it is great publicity for the local game. 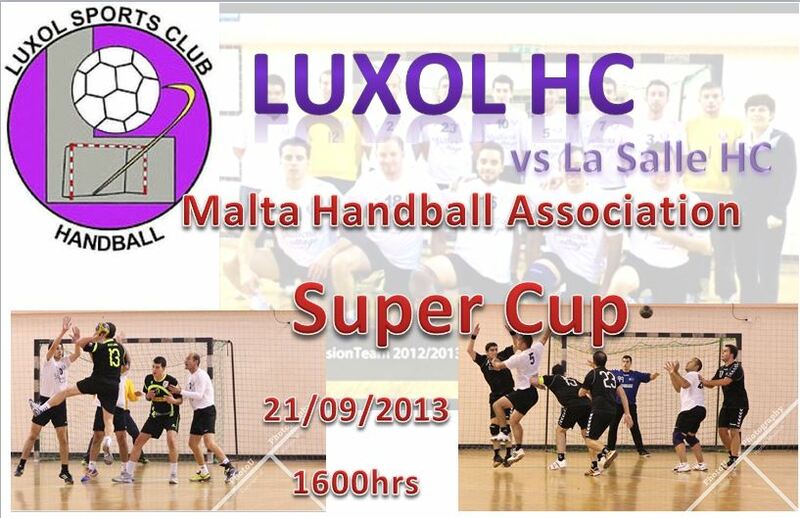 Luxol face a tough challenge from a well organised La Salle team. La Salle’s technical baggage is also better than what our boys can offer right now but our boys vow to fight till the end and that is why all the support offered will give strength to our players. This is what will make the day a day to remember. A team who is less quoted pushed by a great support giving his all to beat a stronger team. 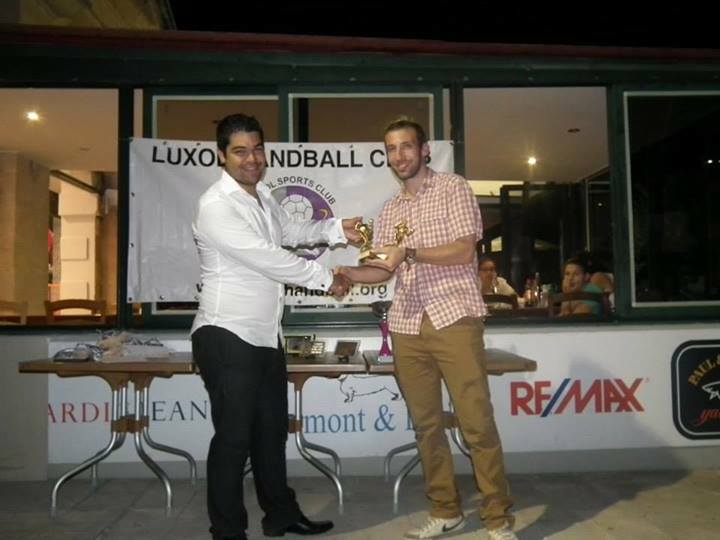 Last Saturday, Luxol Handball Club held its annual presentation at Luxol Sports Bar. There was a fantastic atmosphere with a mixture of familiar and new faces mixing together to create a family atmosphere that distinguishes our club. The BBQ organised for our handball community by the Luxol Sports Bar was a well organised celebration thanks to the strong foundation that unites the individual sporting families at Luxol Sports Club. The peak of the evening arrived when the individuals and teams that excelled during the past season were presented with their trophies. First the players who formed part of our junior boys and girls teams were awarded for their commitment during training and games and for their perseverance during games. The ladies were presented the runners up medals in the MHA Cup and the 2nd division league and the men were presented the medals for their runner up place in the K.O. After the teams’ presentation, the club presented the trophies for the individual achievements. I must point out that while the club was awarding the individual, this could have never been achieved without the hard work and support from all the individuals that form the respective teams. The following members were awarded for their efforts in helping the club improve in different fields and through innovative ways. Raymond Mifsud was awarded for his support and help in hospitality to our foreign members. Daniela Cumbo’s creative ideas in uniting the club members were awarded because she went out of her way to improve on the good aspects the club has already. Ionella Barcanescu was awarded for her constant believe in the men team and because her guidance helped the team reach the K.O and challenge for high positions last season. Stephen Cilia was awarded for his good work in coaching the junior girls’ teams. The presentation was led by Glenn Mifsud whose innovative ideas are giving a different perspective to the club. 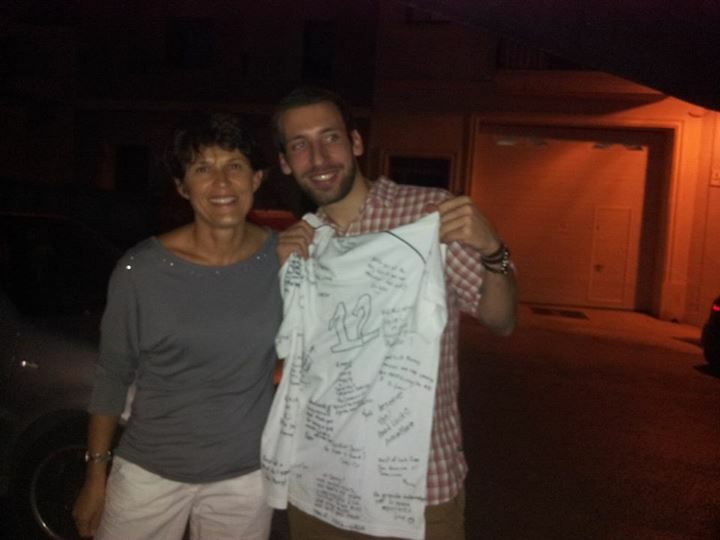 The night was concluded by two great surprises for the club members. Romanian Daniela Badea was presented as a new signing within the ladies 1st division team. Personal contact has long been achieved between Ms. Badea and Joseph Tanti but the club waited for what is believed to be the right moment to sign the player. Ms. Badea will bring a new flair to a team who showed great improvement last year. Daniel Tanti’s new adventure in Denmark was also made official. At a young age of 22 Daniel has already been Malta’s best 1st division player for the past three seasons, a feat never achieved before and after a number of years being monitored by Idraetshojskolen Aarhus, the parts involved think the time is right for this new step for our keeper. The Danish institution will find an elite club for Daniel to continue his improvement in the Scandinavian country. Daniel will not leave an indifferent void in the club but Daniel Gauci’s talents will surely help the men’s team continue on their improvement. The club would like to show all his appreciation and support towards Daniel Tanti and wishes him successful years in Denmark. Luxol Handball Club would like to thank Daniel Tanti for the honour and support he has brought to the club. 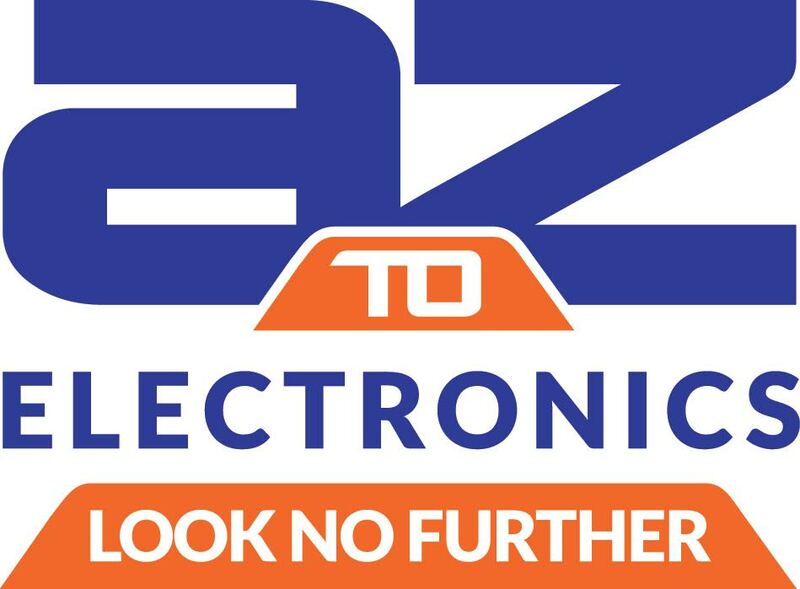 Many seasons around Europe have started and our focus has recently been on the start of the EHF Champions league and the Super Cups from other European countries. With ten days for our own league to start we give a roundup of what we expect from the season 2013-2014. Custom obliges that the season starts with the Super Cup finals. On 21st September Aloysians and La Salle will face each other in the Ladies final at University sports hall at 14:00 while our own boys will face La Salle at 16:00 in the Men final. This final will be a repeat of last season’s K.O final which La Salle won by two goals in the dying minutes of the game. Luxol will give their utmost to make good for the K.O final in the Super Cup and although they might start with a slight disadvantage, their hopes are high for a good result. For the good of handball one augurs that the season would be a balanced affair like the previous one. La Salle have a balanced team with young talent coming up and experienced players who will help them make the transaction to the senior league easier. The foreigners in their fold will surely help their quest in keeping the title. Kavallieri would be the second strongest force in the league as their young players are learning fast and the foreigners they have in the team have helped the Maltese talent raise their level while they were able to solve problematic situations the team was facing. Aloysians are restructuring their team and the return of Philip Mifsud will surely help. They are focusing on their young players and they are a very disciplined team. The mentality of Phoenix’s Danish coach has been translated in speed and sheer power in their game and HMS will surely mirror their close ties with La Salle with the passing of local and foreign players, thus one expects a great fight in all games from them. The ladies league will be closer this season. La Salle are surely the favourites for the major titles. They have strengthened their team with some new foreigners and the return of Steph Desjardins. Aloysians will not make the same mistakes like last year and will fight out hard to deny their arch rivals from winning the league. Phoenix will give more time to their talent and might be a surprise this season. Where does this leave our teams? Starting from the younger categories we have to continue in the formation of our young talent who do quite well in their category. The strong ties we have with the boys’ school in Mosta and the girls’ school in Santa Lucija will continue. Our young ones must be patient and keep working hard like they did in the past years and keep the results in perspective. Luxol is still keeping the second division for developing their players and are not looking to win the second division league but like other years the club pretends the players give their utmost every game. The Men team will try to win the Super Cup. It is hard but a final is a one game that can go on both sides. The league is a bit of incognito but we vow to fight for every point. The ladies first division need to believe more in the individual strength each player in the team possess and unite these individual strengths to beat the opposition. With stronger believe our ladies will put the results to their good performances and improvement showed last season. Luxol Handball Club is proud to invite you for the Awards Night next Saturday 14th September at 2000 hrs at the Luxol Sports Club Restaurant. Price will be of € 15 and will consist of the following menu. 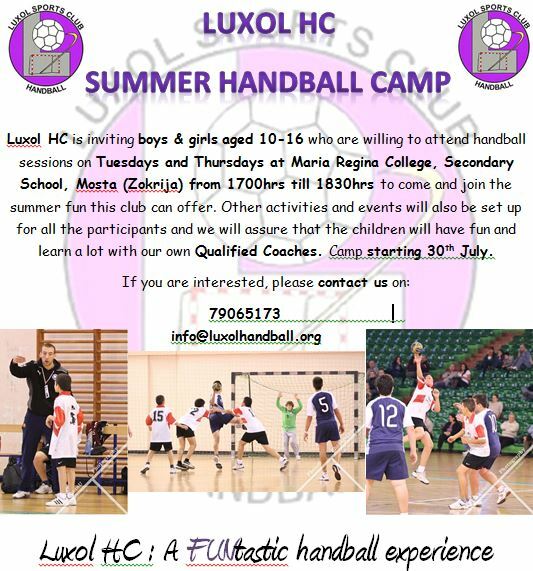 If you require further assistance or need to book do not hesitate to contact Miriam or Glenn on info@luxolhandball.org by not later than next Wednesday. Friends and families are more than welcome and we hope to see most of you to make this another wonderful activity. Will Gyor Confirm Last Year’s Success or Will Larvik Take the Cup Back? After last week’s overview of the Men Champions League, today we will give you our thoughts of what one can expect from the ladies’ competition. It will definitely be a hard task for Gyor to retain the cup for the second year running. They are a very good and experienced team who have been playing together for some time now. They do not buy a lot of players during the summer just a couple to strengthen their already stable squad. They depend a bit on the leadership of their long-time captain Anita Gorbitz who on the other hand seems a bit volatile and prone to injuries. Gyor confirmed their objective of retaining the cup by winning the PwC Handball Fiesta, a pre-season friendly tournament that saw other 5 participants of the Champions league taking part. 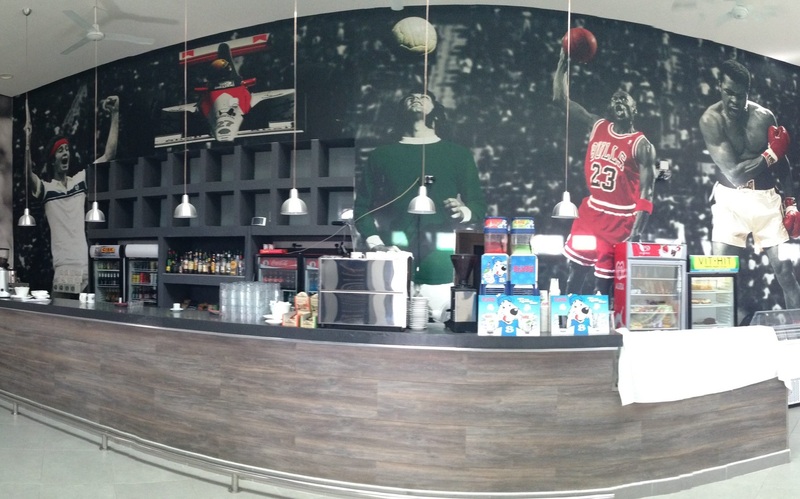 Unfortunately for Gyor, Gorbitz got injured during this tournament. Gyor, placed in group A have the hardest group in the group matches with Thuringer and Hypo Niederosterrich. Larvik of Norway who was last year’s finalists has great hunger to regain the lost title. Larvik’s team is composed mainly of the Norwegian national team who in the past years have been synonymous with success winning all the possible titles. They are in group D and should not have any difficulty to make it to the main group. 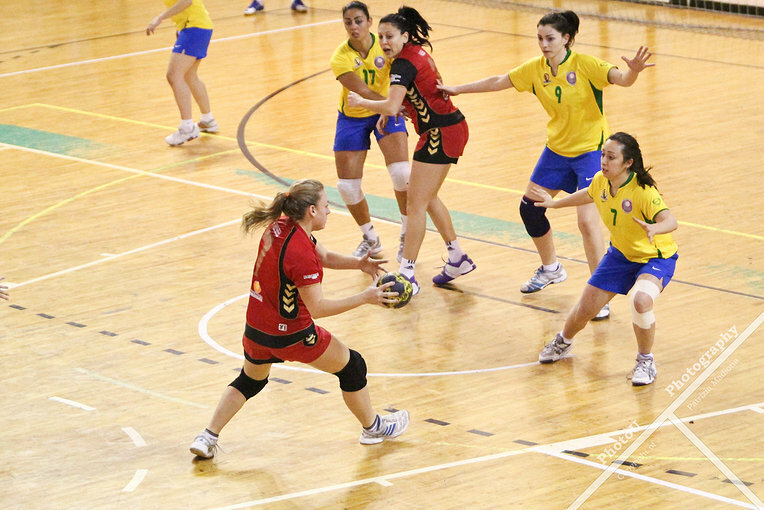 Budocnost of Montenegro and FTC Cargo Hungaria are other contenders and will make it to the semi-final. In the ladies tournament I do not see a lot of surprises although I fancy one of the Danish teams to take a spot in the semi-final. Budocnost are in group B but I see little challenge for them while FTC Cargo Hungaria has to go through the qualification tournament. They are in group 2 of the qualifications and if they pass they will be in Budocnost’s group but since two will progress I do not see it difficult for them to go through. From these pages we would also like to say well done to Alan Grima who was the EHF delegate for the qualification tournament of the Men Champions League in Porto who saw HBM Costanta, HV Kras Volendam, Elverum and Porto. In the past week we have experienced an entertaining encounter between HSV Hamburg and Fuchse Berlin for the access to the Champions League group stages. Last season winner Hamburg finished fifth in the German league while Berlin placed one step ahead. With four places available for the German teams, Hamburg would have been out was it not for a German rule making them eligible to play in a play-off game against Berlin. The first leg was played in Berlin on Wednesday where the home team lead for all but the last 3 seconds of the game when Hamburg managed to strike an important 30-30 draw. On the return leg in Hamburg, Fuchse were once more the better team leading till the last minute. After drawing the game, Hamburg managed to win 27-26 with Adrian Pfahl’s last shot. Hamburg will now be placed in group D with Aalborg, Valenje, Flensburg, La Rioja and the winner of the game between Esch and Halmstaad. It is hard to predict the winner of this edition but I think that Barcellona and Kiel will definitely reach the final 4. Both teams have a vast experience in this competition and Barcellona have been strengthened by the arrivals of Karabatic, Saubich and Lazarov. I see Vesprem as a serious contender after being strengthened by the arrivals of Momir Ilic and Carlos Ruesga. German duo Hamburg and Flensburg will fight for the last place of the final 4 in my books but one must pay attention for an unexpected surprise of heavy investors PSG. An amazing night happened on the 12th of March. 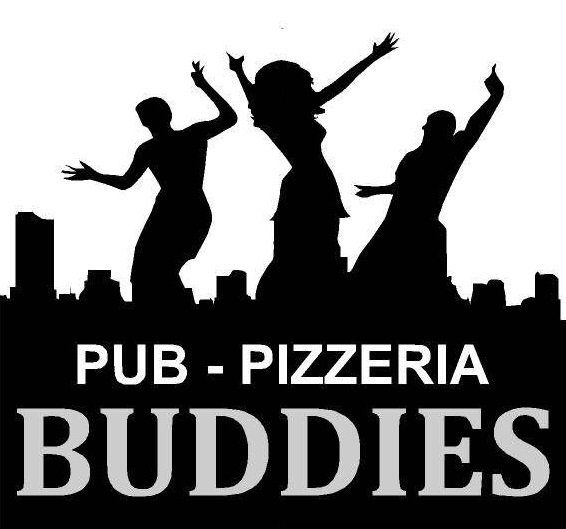 Luxol handball players left their mark at Victoria Pub, Bugibba singing all night long while socializing and competing at the same time. The players were divided into 4 groups consisting of 4 persons. Group one – named Harlem was made up by Luke Pellicano, Janice Pace, Shanice Cassar and Joseph Fenech. Group two – named Ghamilli Sandwitch was made up by Daniel Tanti, Calos Alberto Yuste Izquierdo, Micheal Tanti and Daniel Cini. 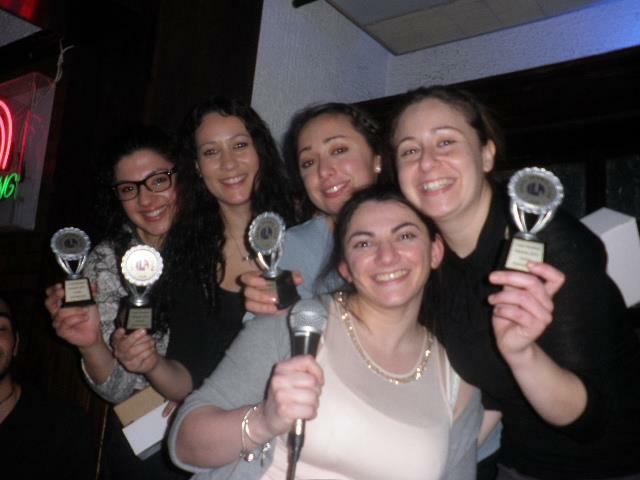 Group 3 – named Girl Power made up by Dorianne Portelli, Miriam Tanti, Dorianne Lewis and Christine Grech. Group 4 – named SpongeBob was made up by Maria Mifsud, Pierre Debatista, Daniela Cauchi and Ryan Sciortino. Each group had to choose the theme song for the group competing against them. Then the other group had to choose a number from 1 to 20 that would identify the name of the song. 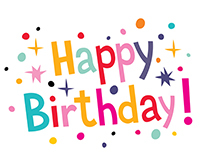 The Theme songs where 80’s songs, Love songs, Classic Songs and Party/Dance songs. For instance Harlem chooses to compete against Sponge Bob. The theme chosen by Harlem was party/ dance songs. Then Sponge Bob Team decided a number for instance 6 and they had to sing the song written on number 6. Each group sang 3 songs + one bonus song. Besides singing the group had to do some entertainment which would give extra points. There was 1 chance for every group to change the number of a song. Only SpongeBob Team took this advantage. Eye of the Tiger, Tarzan Boy, Men I Feel Like a Women, Six Degrees of Separation and We Will Rock You where only few of the songs heard. Every team was making an effort with dancing and trying to entertain to get the chance to increase the points. Points where given by the judge Daniela Cumbo. Almost at the end, the teams were very close with points and everything had to be decided with the Bonus Song. Harlem sang Hallini, Ghamilli sandwitch did a wonderful job singing Sway with Carlos showing off his dancing moves, SpongeBob did an impressive performance singing Iris and Finally Girl Power sang an incredible song Xemx Wisq Sabiha that touched the heart of the judge which led them to the victory. Trophies where given to them to honor their victory… Everyone had fun and was eager for the next one. The ladies first and second division team have shown consistency through all the season and our good individual players are becoming a team. The second place in the MHA Cup did not come by chance and the hopes for the second division to challenge for the title are still alive. The men first division team is still a serious contender for the league, although Kavallieri and La Salle are clearly the favourites to bag the honours. The second division team alternate very good times with tired periods during the games but the players are gaining valuable experience. The younger categories for both boys and girls have been putting a brave challenge to everyone although results have lacked. The lack of results has not disheartened our young players, who have been dedicated all throughout the season. Without being biased, the input given by Ionella, Carlos and Glenn in the games have made us better. Steve Cilia is an assurance with our young girls. Amidst all the competitive challenges, the club also managed to overcome other challenges. There has been an increase in the number of our members and the players from different categories have been uniting more and more creating a lovely atmosphere for the playing team. The challenge of becoming a club rather than individual teams is being overcome as well. We have also overcome unfair challenge from various entities and kept going on our way of challenging by being fair. Mistakes have been made from our players and we are paying dearly for them but hopefully we learn from these mistakes. There is only one challenge we still need to overcome. The Psychological Challenge. It seems that our past experiences are still haunting us and when we are so close to the win we get frightened and we end up loosing. This must be overcome like all other challenges. Officials make mistakes, sometimes mistakes that cost us games but we must overcome them too. Officials do not prevent us from scoring so we must take the responsibility to overcome this too. There has been a good improvement this season. An improvement we have been working hard to achieve. Our aim is perfection. It is hard to reach, not to say impossible but that must be our ultimate goal, this is for what we have to work. The committee will continue to strive hard for the club as we know the players will strive harder to become better. Together we will make it.